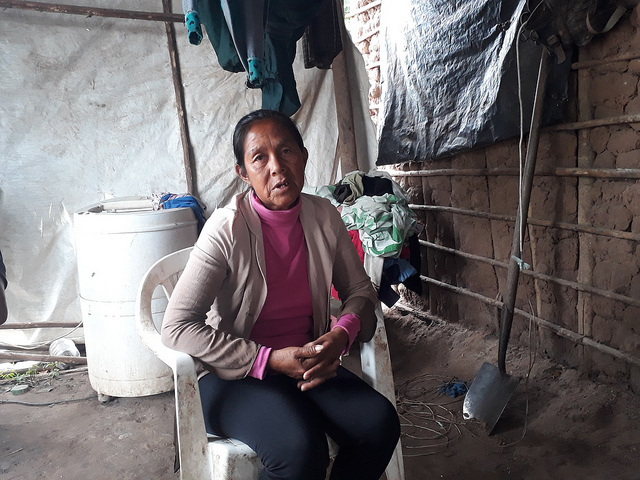 TARTAGAL, Argentina , Jan 12 2019 (IPS) - Nancy López lives in a house made of clay, wood and corrugated metal sheets, on private land dedicated to agriculture. She is part of an indigenous community of 12 families in northern Argentina that, like almost all such communities, has no title to the land it occupies and lives under the constant threat of eviction. A widow and mother of nine, she has heard stories of better times. “My father told me that before they come and go and stay wherever they wanted. There was no talk of private land, no soybeans, no barbed wire. They felt free. Today they call us usurpers,” she told IPS. López belongs to the Wichí people, one of the most numerous indigenous group of the 31 registered in Argentina. According to official data, native people represent 2.38 percent of the population of this South American country of 44 million people, although experts and indigenous leaders consider that the real percentage is much higher. Today, indigenous people in Argentina are struggling to preserve their way of life in a scenario made complex mainly due to conflicts over land. Ninety-two percent of the communities do not have title to the land they live on, according to a survey published in 2017 by the National Audit Office, an oversight that depends on the legislative branch. The scope of the conflict is huge. Approximately half of the 1,600 native communities in the country have carried out or are carrying out the process of surveying their lands that the State began more than 10 years ago, and they lay claim to eight and a half million hectares – a total area larger than the country of Panama. The backdrop is the pattern of discrimination that persists in Argentina despite advances made on paper, as then UN Special Rapporteur on Indigenous Peoples James Anaya reported after a visit to the country in 2011. “There are still legacies from the colonial era and the history of exclusion is still highly visible,” Anaya wrote in his report. Nancy López, a leader in her community, says children no longer want to speak Wichí, because if they do, they suffer discrimination at school, which must have a bilingual assistant teacher, according to the National Education Law in effect since 2006. “The bilingual assistant is given jobs like making photocopies or running errands. He barely translates to the kids what the homework is. There’s a lot of racism,” Lopez said, as local children from the community played with mud in the rain. 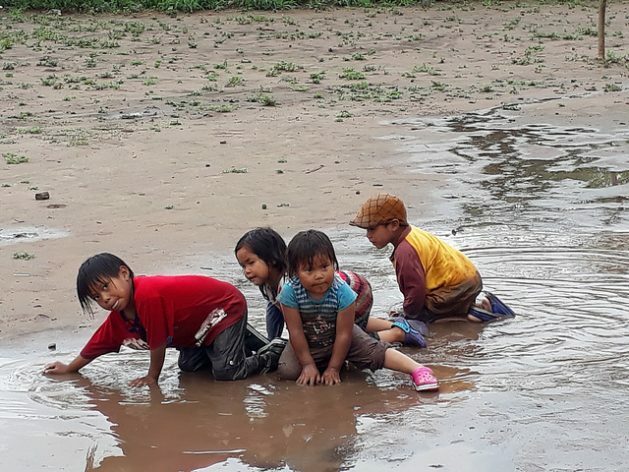 Her community, El Quebracho, is one of dozens located near Tartagal, a city of 80,000 people in the province of Salta, on route 86, which is actually just a dirt road that leads to the Paraguayan border. The Wichí and other indigenous peoples of the area, who are hunter-gatherers, have historically depended on the forest for food, medicine, or wood to build their houses. But every day there are fewer forests. Along with neighboring Santiago del Estero, Salta is the Argentine province that has suffered the greatest deforestation in recent years, due to the expansion of the agricultural frontier, pushed mainly by transgenic soy, which today occupies more than half of the area planted in the country. “As the city of Tartagal grew, they pushed our indigenous communities out, so we go wherever we can,” explains López, who says that a couple of years ago they were evicted in an operation in which some 200 police officers participated. “We stayed on the side of the road for about two months, until the policemen left and we went back in. We have nowhere else to go. This used to be all forest. Today we are surrounded by soy,” she says. Since Argentina became a nation in 1853, one of its main goals was to exclude or assimilate indigenous people. In fact, the constitution that went into effect that year called for “the preservation of peaceful treatment for the Indians, and the promotion of their conversion to Catholicism”, while, on the other hand, it imposed on the government the obligation to encourage European immigration. In 2006, Congress passed the Indigenous Communities Act, which declared indigenous lands in an emergency situation, ordered surveys of ancestrally occupied land and suspended evictions, even in cases with a judicial ruling, for a period of four years. Since then, however, the survey has not even begun to be carried out in half of the communities, despite the fact that the law has been extended three times. And the great majority of the communities where the survey has been conducted still have no community property titles. Today it is also reported that evictions are still being carried out, although the law in force prohibits them until 2021. According to Amnesty International, which in 2017 released a study that detected 225 unresolved conflicts throughout the country, it is not surprising that the vast majority of the conflicts involving indigenous people in Argentina are over land. 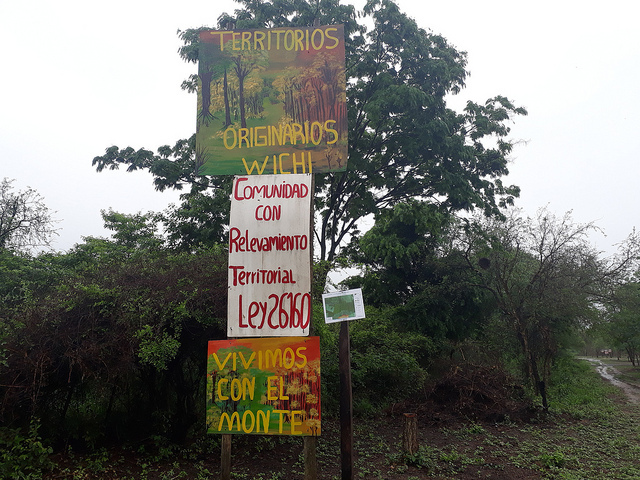 “Some provinces have granted property titles, but there are no institutional mechanisms for access to indigenous community property in Argentina. We need a national law,” attorney Gabriela Kletzel, of the Center for Legal and Social Studies (CELS), told IPS. This non-governmental organisation brought before the Inter-American Commission on Human Rights (IACHR) the case of a group of communities whose ownership of 400,000 hectares was recognised by the government of the province of Salta in 2014. “However, these communities are not yet able to take control of the land because they do not have title to it. And they still can’t get white families to take their cattle off their land, which destroys the natural resources that are the foundation of indigenous life,” Kletzel said. “The destruction of the forests has wiped out all of the resources that their economy is based on. So, like many animals that no longer have anything to eat, they came to the cities,” concluded Palmer, who lived for years in a rural Wichí community until he moved to Tartagal with his wife and their five children.